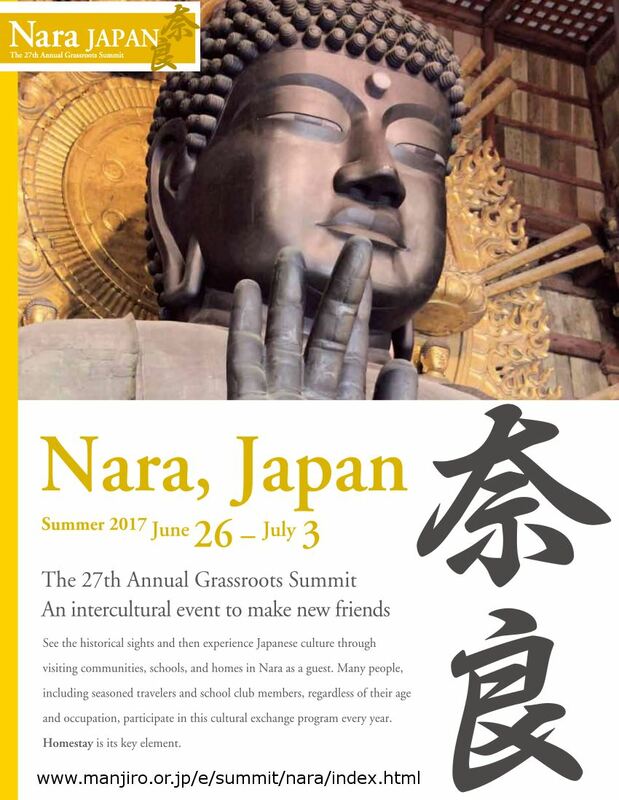 The Japan‐America Grassroots Summit is an annual 1 week cultural exchange program for Japanese and American citizens of all ages, held alternately each year in Japan and the United States. An average of 200 people travel across the Pacific to take part in strengthening the peaceful relationship between the two countries by fostering peace and friendship at the grassroots level. 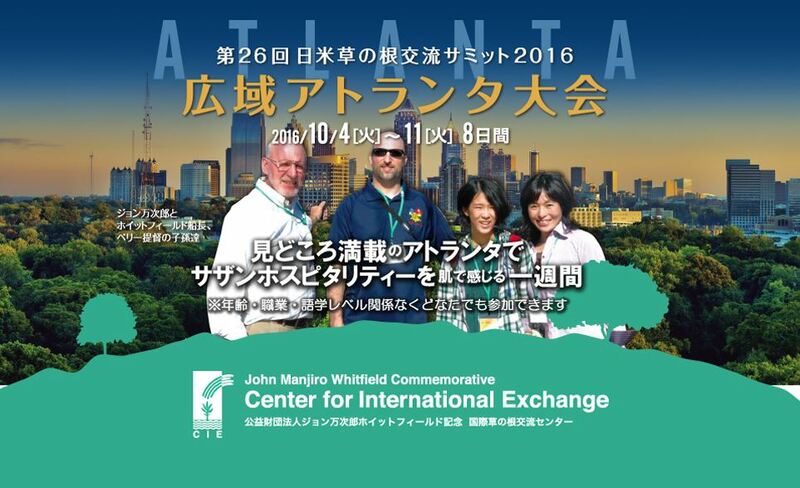 The Summit honors one of the first friendships between an American and a Japanese – Captain William H. Whitfield, a whaler, and John Manjiro Nakahama, a young fisherman and the first Japanese citizen to be educated in America. Their life‐long friendship, a unique bond begun in 1841, continues through their descendants to the present day. Manjiro’s knowledge of America facilitated the opening of Japan to trade with the western world following the arrival of Commodore Matthew C. Perry in 1853. Manjiro taught English, navigation, ship‐ building and American ideas, such as democracy, to young Japanese samurai who led Japan to modernize and join the developed world. 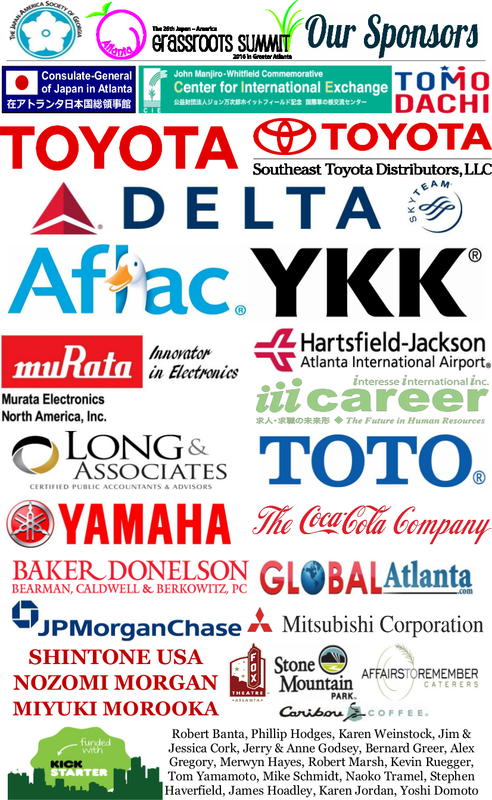 The 2016 Japan‐America Grassroots Summit is organized by the Japan‐America Society of Georgia and the John Manjiro Whitfield Commemorative Center for International Exchange, and presented in cooperation with the Consulate‐General of Japan in Atlanta, host cities, and partnering community organizations. Help make this year's Grassroots Summit a huge success by supporting our KickStarter Campaign & making a contribution at http://kck.st/29U4X8E !